A quick breakdown of Mercedes-Benza��s new naming strategy for SUVs and what each of them brings to the table. Move up in size from the GLA and you have the GLC, running parallel to the C-Class. Armed with permanent all-wheel drive and a revolutionary nine-speed automatic transmission, it is a great mix of compact dimensions, on-road performance and off-road ability. Rs 56.7 lakh onwards ex-showroom, Chennai. 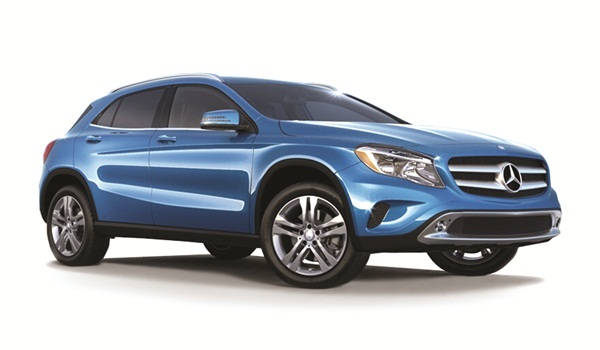 The GLA is the smallest Mercedes-Benz SUV that you can buy. As the name suggests, it is based on the A-Class platform. Powered by a 1991cc petrol, 183PS, 300Nm inline four-cylinder engine for the GLA 200 and a 2143cc, inline four-cylinder, diesel engine on the GLA 200 d (136PS, 300Nm), this is the perfect entry-level offering as far as luxury SUVs are concerned. Rs 33.4 lakh onwards ex-showroom, Chennai. By now it must be pretty evident that the GLE is the equivalent of the E-Class in the Mercedes-Benz SUV line up. Apart from the bigger dimensions, it doesna��t get any petrol-power. But it does get two very potent diesel engine options. The GLE 250d 4MATIC pumps out 204PS and 500Nm from its 2143cc oil burner and therea��s the GLE 350d 4MATIC with a 2987cc, V6 pumping out 258PS and 620Nm. Rs 63 lakh onwards, ex-showroom, Chennai. Always wanted an S-Class, but one that could go anywhere? The GLS is exactly that. Probably one of the plushest and well-appointed SUVs in the market, this one is truly special. Power comes from Mercedes-Benza��s three-litre V6 engine with 258PS and 620Nm on tap on the GLS 350 d 4MATIC. Rs 83.4 lakh onwards, ex-showroom, Chennai.